Pantene has introduced a brand new line for women who want to experience healthy hair and damage repair. I challenge you to find a woman that doesn’t want one of those two things! 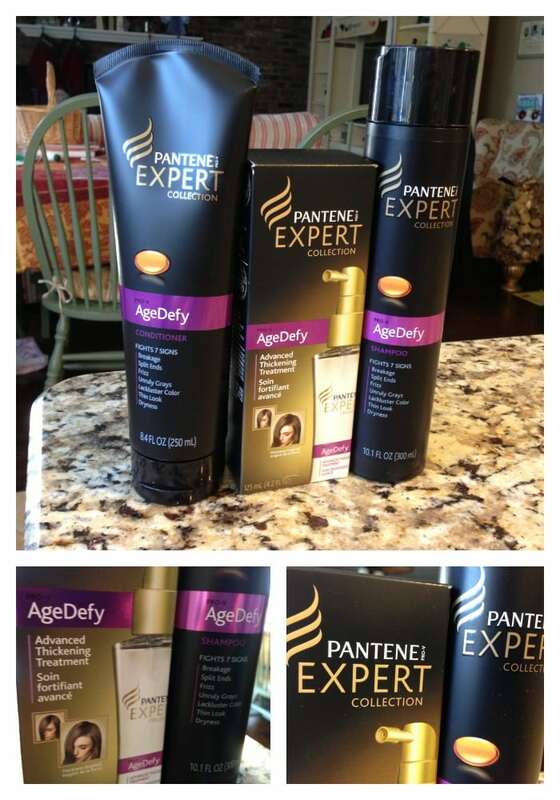 The Pantene Expert Collection’s AgeDefy promises to help your hair act up to 10 years younger. The line is specifically developed for women in their 40s and beyond, but if you’ve been hard of your hair – this is still for you! Is your hair thinning? Do you have a ton of breakage? The Pantene AgeDefy line works together to help hair will help thicken your existing hair strands. A complete process! Available at major drugstores everywhere.